Earlier this week, the MMA Ratings Podcast took place with each member of the MMARatings.net writing team giving their picks for The Best of 2017 in several categories. 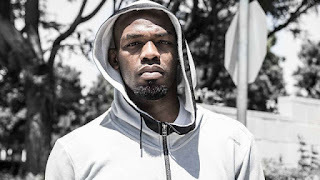 Here is a writeup of Adam Martin's picks for the best in MMA this past year. It's hard not to say Mayweather vs. McGregor was the top MMA news story of 2017 even though it was a boxing match and not an MMA fight. This match dominated headlines all summer long and proved to be one of the biggest-ever box office successes in combat sports history. And now, rumors are that Mayweather is in talks with the UFC, so it will be interesting to see what sort of plans the UFC has for him. As for McGregor, hopefully he fights in MMA again in 2018. The most exciting moment was either GSP coming back to submit Bisping and win the middleweight title at UFC 217 or Ngannou emphatically announcing himself as a serious title contender with his KO over Overeem at UFC 218. Both were moments that caused you to jump out of your seat and tell all your friends to tune into the fights. Moments like these are what MMA fans live for and hopefully 2018 brings more of these type of high-profile, important finishes. USADA struck again in 2017, and Jones, Silva, and JDS were all flagged for various infractions. All three men were among the best fighters of the last decade, and it was sad to see them test positive. The good thing is, USADA is working and catching guys. The bad thing is, many of our heroes are cheaters. The best show of 2017 was easily UFC 217. It was such an amazing, epic card, and will go down as one of the most important fight cards in MMA history. Out of 11 fights there were nine finishes, including three on the main card that led to three titles changing hands, with GSP submitting Bisping, TJ Dillashaw finishing Cody Garbrandt, and Rose Namajunas knocking out Joanna Jedrzejczyk. This was one of those cards that reminded everyone why they love this sport so much, and hopefully there are more cards like this next year. My breakout performer was between Montano and Calvillo, though after UFC 219, I would side with Montano. 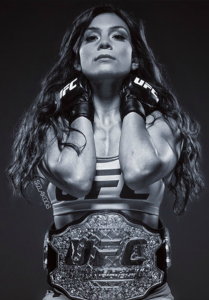 The UFC Women's Flyweight Champion came out of nowhere to win TUF and the title and the sky is the limit for her. Calvillo won four fights in 2017, but a close loss to Carla Esparza hurts. Still, she figures to bounce back next year. It was tough to pick Fighter of the Year so I have it as a tie between Oezdemir and RDA, with both men going a perfect 3-0 in 2017. Oezdemir came into the UFC on short notice and won a split decision over Ovince St-Preux before finishing Misha Cirkunov, and Jimi Manuwa in an amazing year that earned him a title shot against UFC Light Heavyweight Champion Daniel Cormier at UFC 220. RDA, meanwhile, moved up to 170 and defeated Tarec Saffiedine, Neil Magny, and Robbie Lawler, all in one-sided fashion. Both guys had amazing years, and it will be interesting to see how 2018 treats them. Gaethje vs. Johnson was an epic fight that saw the former WSOF lightweight champ win a double bonus in his UFC debut for his brutal second-round TKO win. The fight was an all-out war for the near 10 minutes it lasted, and both men need to be commended for putting on a memorable, exciting fight. Gaethje's war with Eddie Alvarez at UFC 218 was also an amazing fight, and was a close second in this race. The fact that he was in two of the best fights of the year speaks volumes about Gaethje's fan-friendly style of fighting. 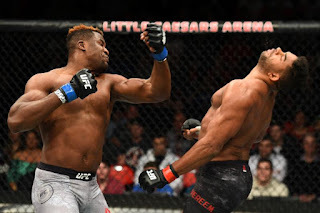 There were plenty of spectacular knockouts in 2017, particularly knee KOs, but my top pick would still be Ngannou's brutal KO over Overeem at UFC 218. It was just an absolutely insane uppercut that announced Ngannou as a serious title contender, and his fight against UFC Heavyweight Champion Stipe Miocic at UFC 220 promises to be exciting. It was overall a down year for submissions, but my top pick would be Ferguson's triangle choke submission of Lee at UFC 216 to win the interim lightweight title. Ferguson proved once again how deadly his ground game is, and he's one of the few fighters to win a fight via tapout off his back. If he fights Khabib Nurmagomedov at some point, it will be interesting to see if he could pull off another triangle, as he figures to be on his back for much of that fight. My top prediction for 2018 is that we will see McGregor return to the Octagon to take on GSP in a true super fight. There's just simply too much money to be made for both men for this fight not to happen. Plus, it just makes a lot of sense. In the case of GSP, he already gave up the middleweight belt, and it's probably a good thing, as bigger fighters like Luke Rockhold and Robert Whittaker would likely give him problems. 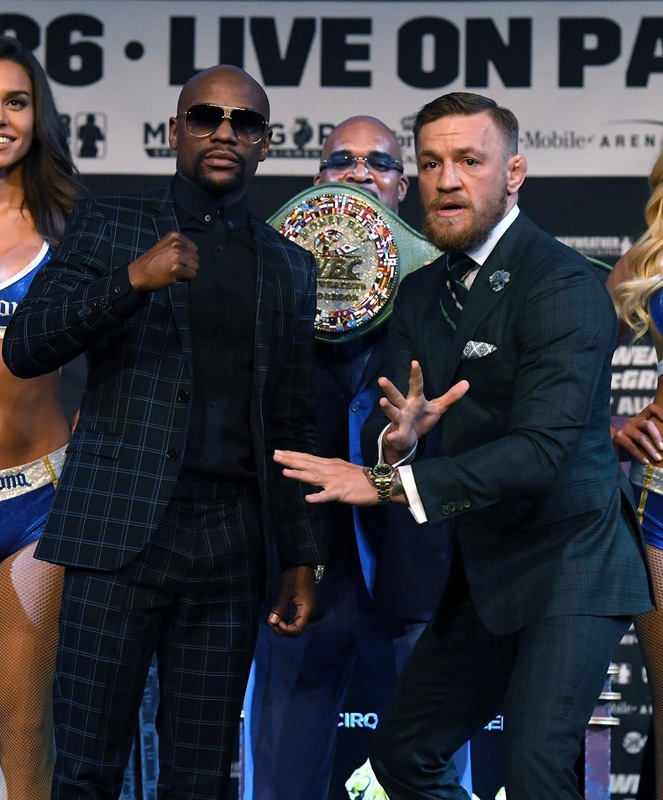 And for McGregor, fights against Ferguson or Nurmagomedov are hugely challenging, but not huge box-office draws. Both men like making money and the UFC likes making money, so I see this McGregor vs. GSP superfight coming together next summer.